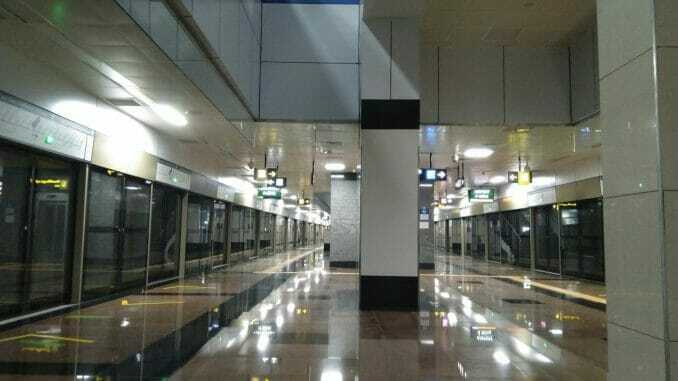 Finally, it looks like the Chennai Metro is ready to roll out services across its full length of 45.1 km in Phase I, nine years after it was approved by the Centre. As one of the biggest urban infrastructure projects of Chennai, costing upwards of $2.5 billion, it upgrades the city’s profile globally, although it is nowhere near the emerging international paradigm of Mobility as a Service (MaaS). 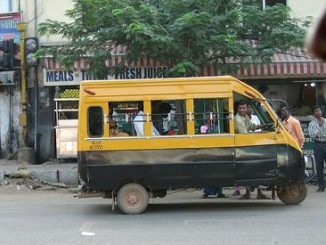 In fact, it is a pretty scattered set of options in Tamil Nadu’s capital, with a mix of regulated systems for low quality government-run buses, suburban trains operated by the Central government, the Metro added now, regulated but essentially lawless feeders like autorickshaws, along with a growing share of unregulated “Share Auto” vans. There are, of course, Uber and Ola. From Airport to Washermenpet, and Central to St. Thomas Mount, the Chennai Metro is set to offer a faster, modern commuting alternative. Yet, it is doing many things gravely wrong, and can never achieve its full potential until these terrible mistakes are corrected. The MTC bus service in Chennai is already in decline, since it has shifted its focus away from urban operations to suburbs like Sholinganallur on the IT corridor, Poonamallee, with just a few old services still operating in the core city. I pointed that out in this tweet recently, responding to similar concerns in Mumbai. MTC’s mini-buses, meant to be affordable feeder services, are disappearing over alleged revenue declines although they were never operated with scientific routing. They failed to link railway stations, bus termini and early Metro stations. Recently, the AIADMK government diverted four of these feeder buses to Salem, depriving Chennai. Many others are being used merely as staff buses now, and not on routes. Such trends run counter to the claim made by MTC that mini buses are actually connecting suburban railway stations, bus termini and Metro stations. JICA (the Japan International Cooperation Agency) which has part-funded Phase I of the Chennai Metro should at least now get both MTC and the Metro systems to sit down and arrive at a plan to align all available routes with the new train system. What we mean is that all buses that pass a Metro station currently should compulsorily have a stop at that station. This does not require any fresh investment, and actually helps both buses and train systems, not to speak of passengers. Buses stopping at Metro stations should carry a prominent sticker on their windscreen that says the route is a “Metro Link”. The present “official” scheme of running a few autorickshaws and taxis as share vehicles from select Metro stations is poorly thought out, because a train carries a 1,000 passengers when it is full, and this is not a viable feeder service option at all. So there has to be an expansion that is legally enabled. Allowing designated feeders will help passengers go from their doorstep to the Metro stations, which the present auto-taxi shares permitted by CMRL does not enable. Since the AIADMK government is not averse to CMRL providing some limited cab services even now from the stations, without any legal changes to the taxi permit scheme, there is no reason why this should not be formalised. The Motor Vehicles Act amendments that the NDA government failed to introduce contained a provision for such liberalisation. 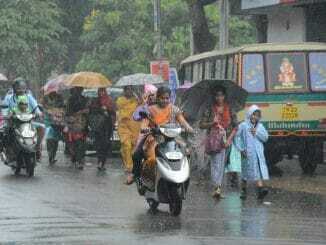 Both DMK and AIADMK governments have allowed rampant encroachment of walking spaces in Chennai over the years, and the meagre efforts to restore them near the Metro stations is simply not adequate to bring back walking as a mobility option. Footpaths conforming to the Indian Roads Congress standards should be built, and hawking regulated to ensure that it does not impede the movement of pedestrians. That means, size and location of hawking establishments should be defined, and maintained with accountability fixed on local body officials and Highways Department engineers. It is all too evident that the AIADMK government, as well as the NDA government in New Delhi have stifled the growth of urban bus transport. While modern trains are being bought at great expense, buses remain outdated in terms of design and comfort. There is nothing to capture the imagination of a new generation of passengers. Everything else is modern, except the bus service. There is not even information on services on smartphones! Moreover, a great deal of internal corruption has affected operators such as MTC. How did the Narendra Modi government let down bus users? By allowing corporations such as MTC to water down the national bus code (AIS052), which was supposed to improve the comfort and safety of passengers. The priority for 2019 should be to tighten the bus code, and allow only low floor, air-conditioned buses in city operations. This should be taken up by the next government at the Centre. 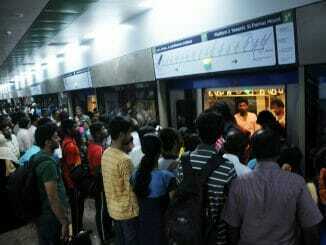 The top priority for today should be the bare-bones, old-style linking of buses and trains in Chennai. The completion of the Chennai Metro and the recent operationalisation of the Chennai Unified Metropolitan Transport Authority (CUMTA) must provide the impetus to achieve that. G Ananthakrishnan is a journalist who blogs at Straphangers United [https://straphanger.wordpress.com/]. Posts here are republished from his blog with permission. Responses to RTI filed by blogger-journalist reveals complete lack of a regulated scheme for shared transport in Tamil Nadu. With the Metro in operation on the Airport-CMBT-Central route and Alandur-DMS route, with the latter poised for being extended upto Central shortly, with the MRTS feeder route of Central-Tidel Park-Velacherry-Alandur nearly getting completed, the gradual shift of MTC bus routes away from the above Metro/MRTS routes to less served interior and outskirt routes is only natural as the Metro/MRTS passenger traffic increases. The minibus feeders are expanding their services not only to feed the MRTS/Metro stations but also to interior areas hitherto not serviced by MTC/suburban trains at all. As in other cities with experience of Metros like Delhi and Kolkata, the development of residential and commercial areas serviced by them and hitherto poorly serviced by all other transport services will accelerate particularly when the radial routes are progressively linked in future. Impatience in infrastructure development does not help.